Eating our way through Ventura County, one bite at a time. Our tours offer a unique blend of food tasting, local history, culinary education, and of course, walking. Our tours are fun and intimate, giving guests a behind the scenes look into some of the area’s best eateries. From that tiny bakery tucked into a corner of Ojai to that favorite fish taco in Ventura and that hidden chocolate shop in Santa Barbara, it is our pleasure to share these wonderful food finds with our guests. Our guided walking tours run approximately 3 ½ hours. Throughout the course of the tour we stop at six different locations – some for larger sit down tastings and others for a few bites and a conversation with the chef. Ventura is a vibrant city with a population of just over 100,000 that sits along the edge of the Pacific ocean on a stretch of coast between Los Angeles and Santa Barbara. With the Channel Islands off the coast and beautiful mountains just inland from here, the views, sights, and activities are breathtaking. Ventura County - home to towns like Ventura, Ojai, Camarillo, and Oxnard - is also home to a vibrant restaurant scene that includes places that have been around for decades and new restaurants offering the latest in fine dining. The county is also home to a bounty of lush wineries and numerous artisanal food products made from local ingredients. Join us for one of our delicious food tours and get to know the area and its history, one bite at a time. "We had so much fun! We had no idea we were going to eat so well and so much! The tour gave us a great 'taste' of what different restaurants in Ventura are like and totally made me want to go back and get more. 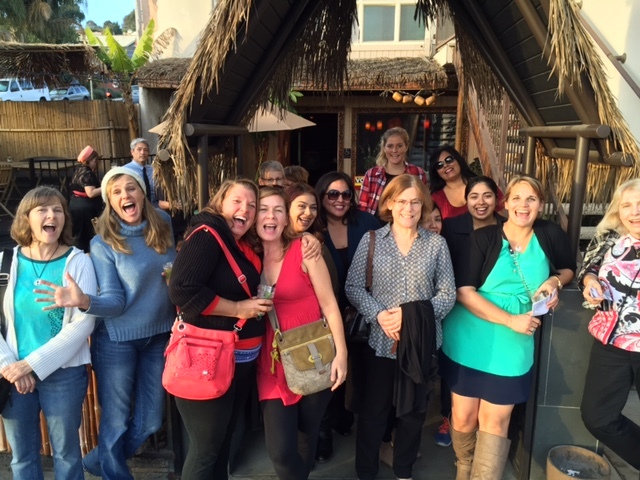 I highly recommend these tours to both locals and tourists in Ventura!" - Laurel C.